The oldest and biggest manmade pond of the State, Jagannath Sagar in Koraput, is a picture of neglect. JEYPORE: The oldest and biggest manmade pond of the State, Jagannath Sagar in Koraput, is a picture of neglect. Although the historical pond has immense tourism potential, it is covered with wild vegetation and plastic waste. Water of the pond is also highly polluted. While sewage water of the entire town is released into Jagannath Sagar round the year by the municipality, weeds and water hyacinths cover half the pond. There have also been attempts by people with vested interests to encroach upon some portions of the pond to construct shops. According to historians, the then King Ramchandra Dev-II had excavated the pond on a patch of 300 acres by hiring 10,000 labourers in 1716 and the British East India Company accorded tourist destination tag to the pond three years later. From 300 acres, the pond has now shrunk to just 180 acres due to encroachments. The pond was created with an aim of maintaining environmental balance and meeting the water requirements of people of both Koraput and Nabarangpur districts. Its scenic beauty drew a large number of tourists till a few years back. To cash in on the crowd, the Tourism department had developed parks and garden on both sides of the pond. However, these facilities are badly maintained. A few years back, the Water Resources department had cleaned and renovated the pond but since then no maintenance work has been taken up. Over 1,000 fishermen of Jayanagar, Paiko Street and New Street depend on the pond to eke out a living. However, fish catch has come down over the years due to pollution. 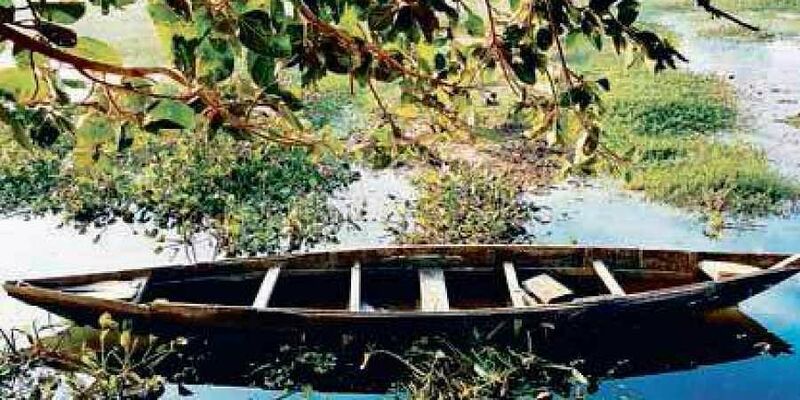 In the past, the district administration organised boat competition every year in Jagannath Sagar but it was stopped due to the poor condition of the pond. Although locals have been demanding facelift of the pond, their pleas have fallen on deaf ears. Sources said `30 crore will be required for restoring the past glory of Jagannath Sagar but the district administration has no funds for the purpose. Jeypore MLA Tara Prasad Bahinipati had recently met Tourism Minister Ashok Panda and urged him to develop the pond as a tourist spot.